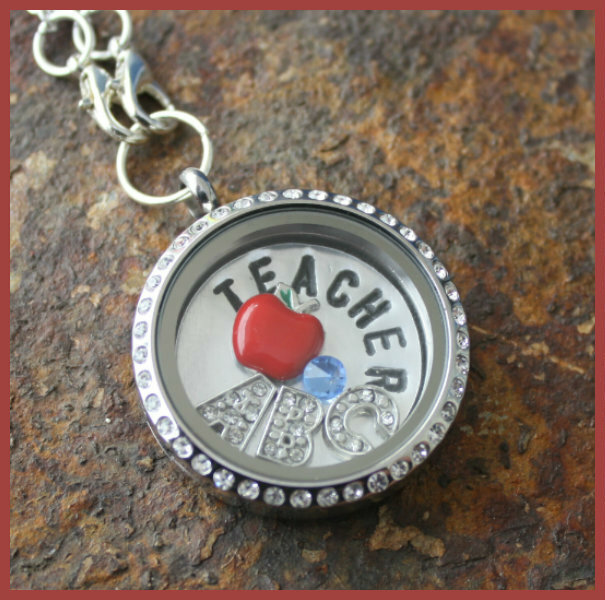 This Laambie Locket celebrates Teachers. 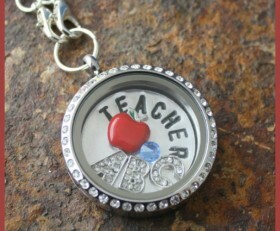 It includes a disc with “teacher” stamped on it. The letters “ABC”, an apple and crystal of your choice. This is a large round Laambie Locket, 1.25″ (30 mm) round, encircled with CZ crystals and is made from surgical stainless steel. It is 6 mm deep which is the size of the best known lockets on the market. Categories: Laambie Lockets, Laambie Lockets, Occupations.